A picture from Cathie Associates visit to the US’ first commercial offshore wind farm; Block Island. November 16 (Renewables Now) - A consortium in the US formed to facilitate the growth of the US offshore wind industry through research and development (R&D) efforts presented on Thursday its long-term vision for innovative technology development and its key R&D priorities. Over the next four years the National Offshore Wind Research and Development Consortium, as it is named, plans to distribute research funds through a series of open solicitations, in line with the priorities identified in its Research and Development Roadmap. The first request for proposals is to be announced in 2019. Three R&D pillars have been defined in the first version of the roadmap, while there will be regular revisions to incorporate up-to-date feedback from different stakeholders and new research priorities and objectives for the evolving offshore wind market. The first pillar defined by the consortium is Offshore Wind Plant Technology Advancement, including R&D work to address near- and mid-term challenges to cutting development costs in the initial phases of US projects. With the second pillar -- Offshore Wind Power Resource and Physical Site Characterization -- the consortium aims to reduce early risk in offshore wind through R&D efforts that can help cut the cost, time, and uncertainty of site characterisation for project developers on the US Outer Continental Shelf (OCS). 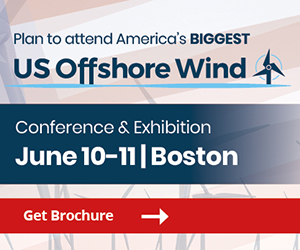 The third pillar -- Installation, Operations and Maintenance, and Supply Chain -- involves R&D activities aimed at reducing the cost and time needed for offshore wind project construction and installation, as well as operation and maintenance (O&M) costs for projects in US waters. The New York State Energy and Research Development Authority (NYSERDA) in June secured USD 18.5 million (EUR 16.3m) in funds from the Department of Energy (DOE) for a term of four years to lead the national R&D consortium, which represents the first federally funded public-private partnership in the country working to advance R&D to accelerate the offshore wind industry. The roadmap presented yesterday has been ratified on October 18 at the first meeting of the consortium’s Board of Directors, which includes offshore wind industry leaders like Ørsted, Northland Power and Innogy, US states, representatives of national utilities and national laboratories. The consortium is headquartered at the Advanced Energy Research and Technology Center (AERTC) at Stony Brook University.